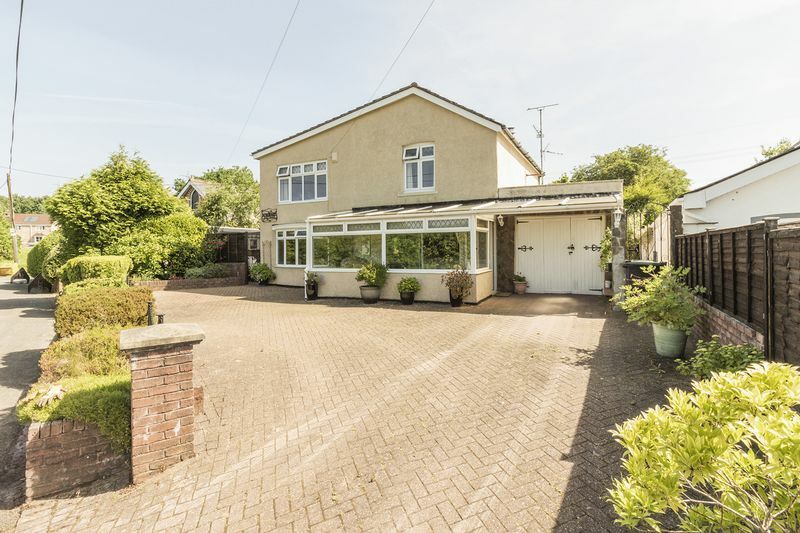 *IDYLLIC COUNTRYSIDE SETTING**UNIQUE DETACHED PROPERTY**FOUR DOUBLE BEDROOMS**LIVING DINING ROOM**CONTEMPORARY KITCHEN**MODERN BATHROOM**TWO CONSERVATORIES**MATURE BEAUTIFULLY MANICURED GARDENS**GARAGE AND DRIVEWAY** Pinkmove are delighted to offer this four-bedroom detached property located on Church Lane in Newport. 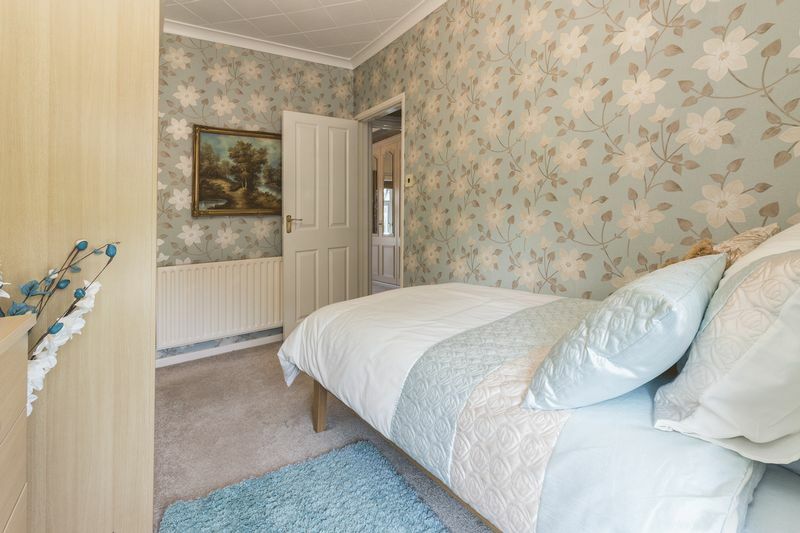 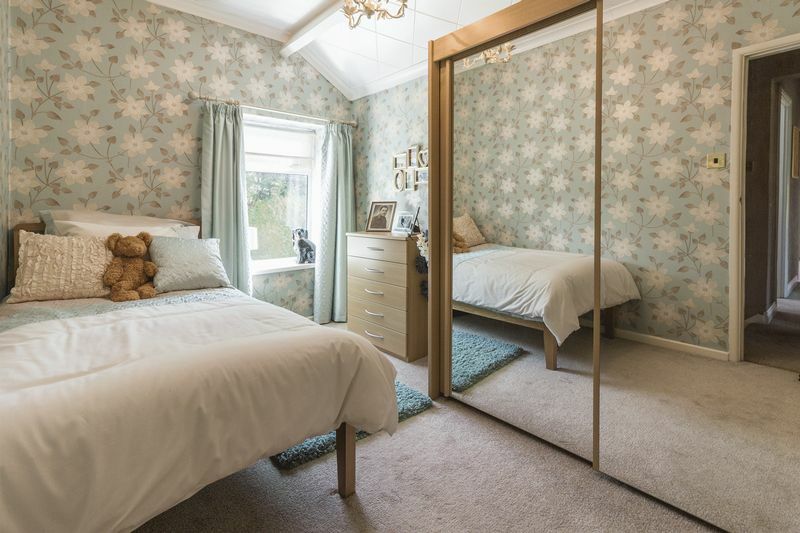 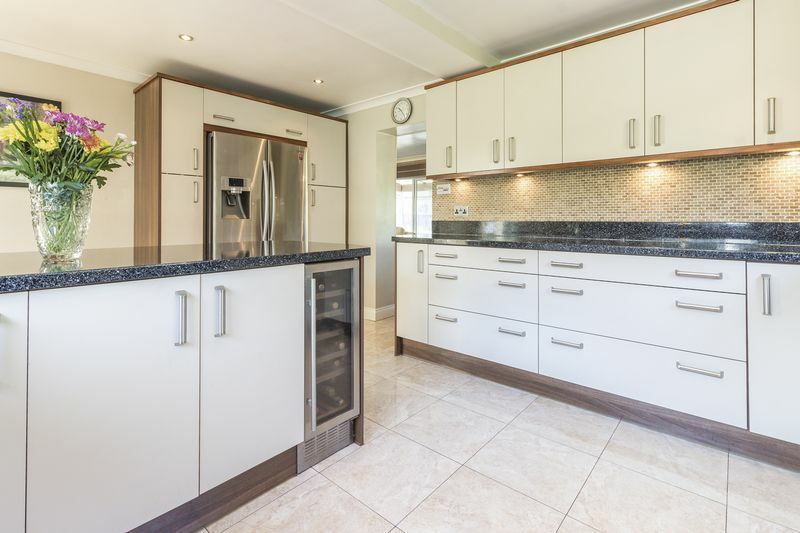 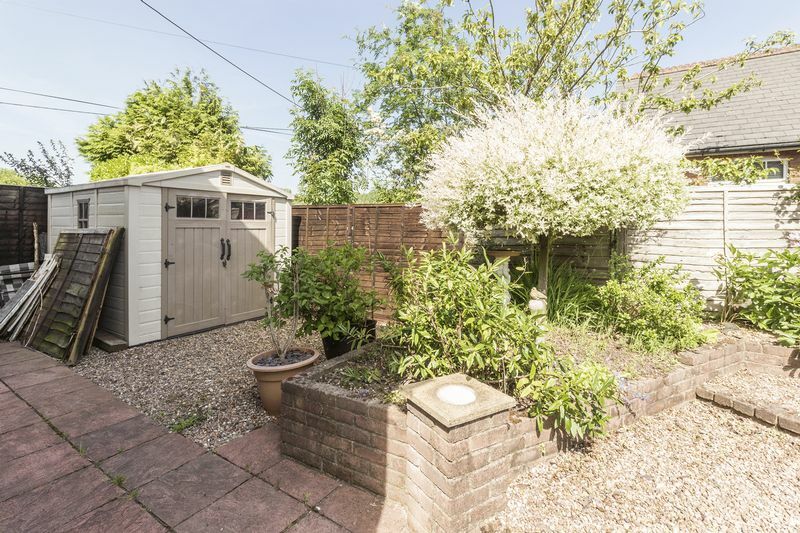 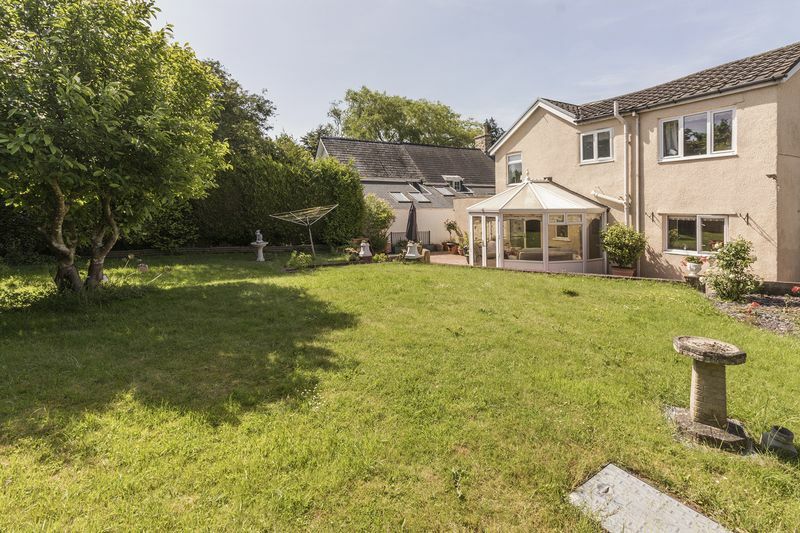 The property is set in an idyllic location with views over the countryside and is within easy access to the M4 for easy commutes into Cardiff and Bristol, as well as being a short distance form local amenities and well-regarded schools. 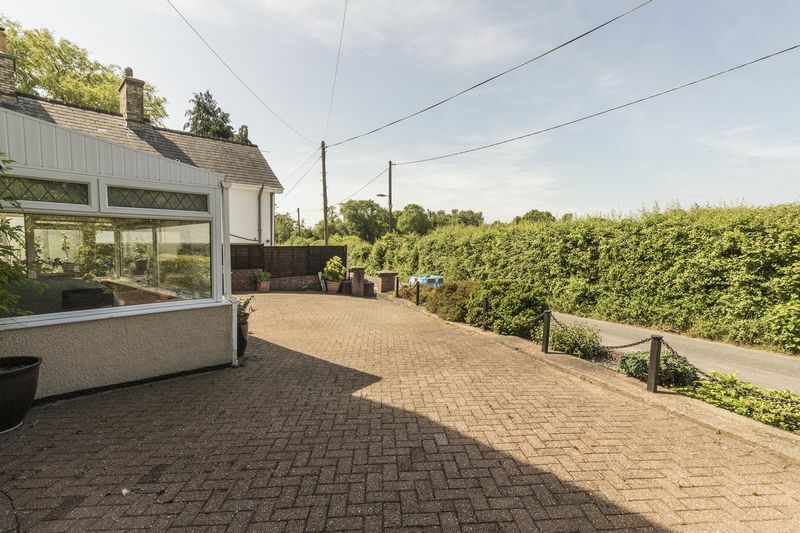 The property has the benefit of a large block paved driveway with a raised flower bed border, and the drive provides ample off-road parking for several vehicles as well as the benefit of a garage. 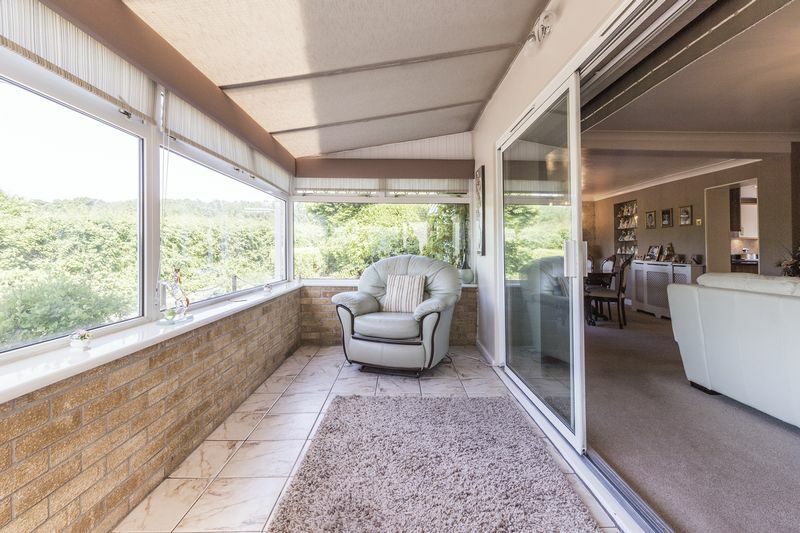 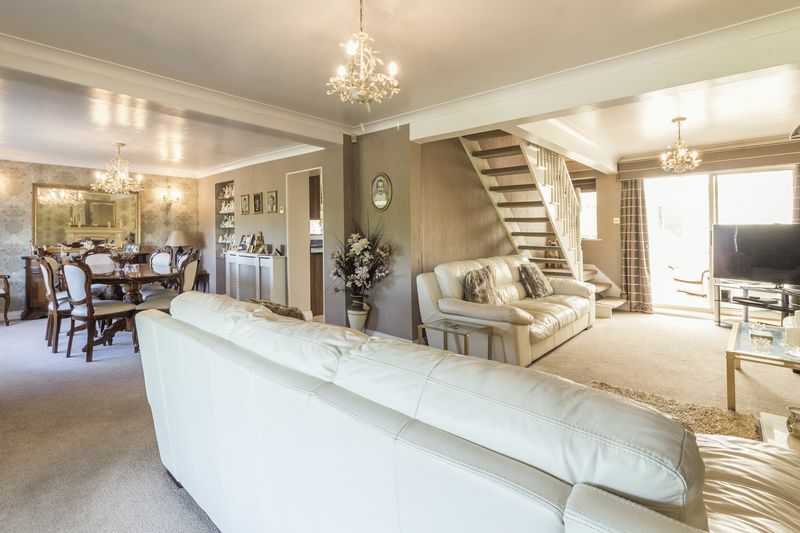 The property is accessed through the front door into a conservatory, it is an ideal spot to sit and enjoy the views across the fields and bordering countryside. 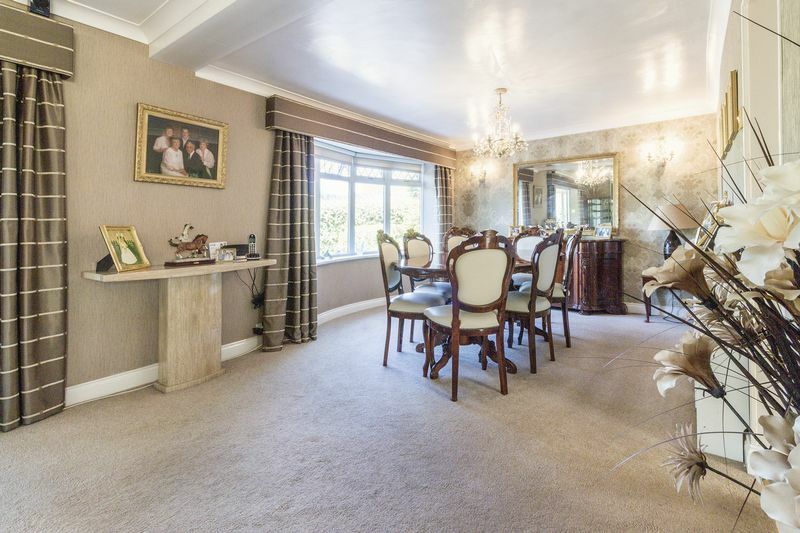 From here through sliding doors is the open plan living dining room. 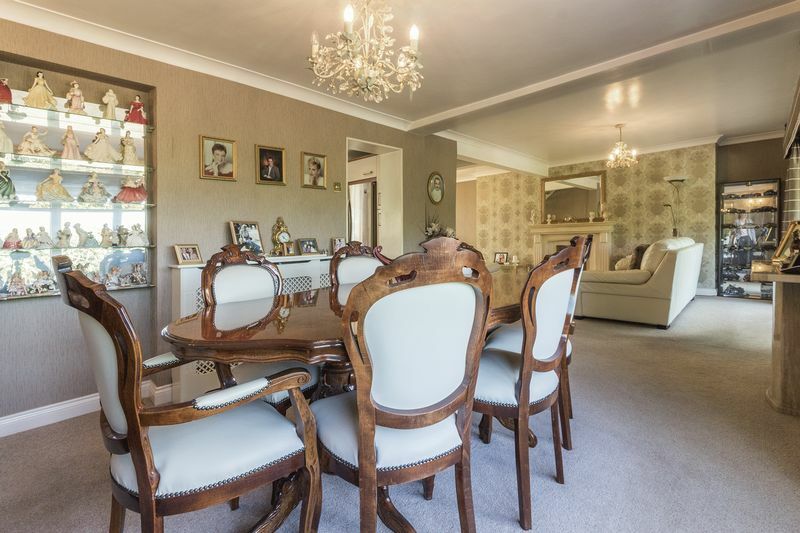 This is a substantial l-shaped room, with ample space for a large dining table and chairs as well as all the required living furniture. 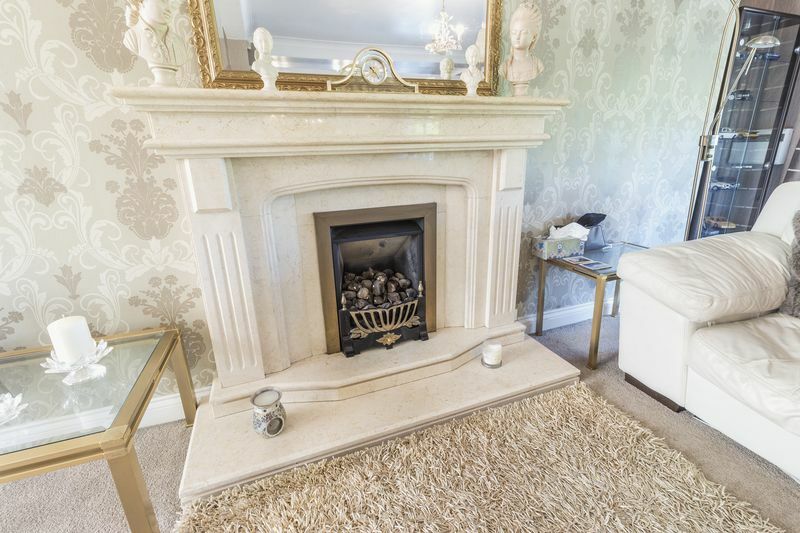 There is a gas fire with a marble hearth, this is a lovely centre piece to the room as well as the stairs up to the first floor. 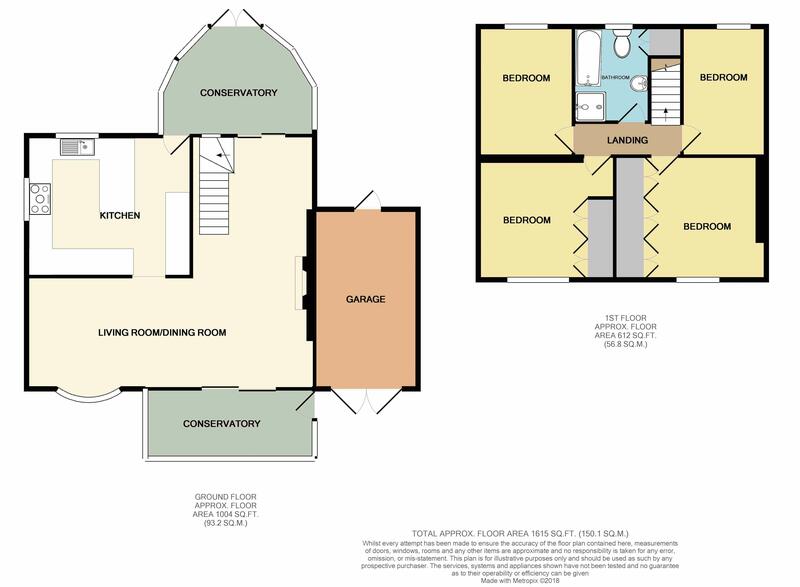 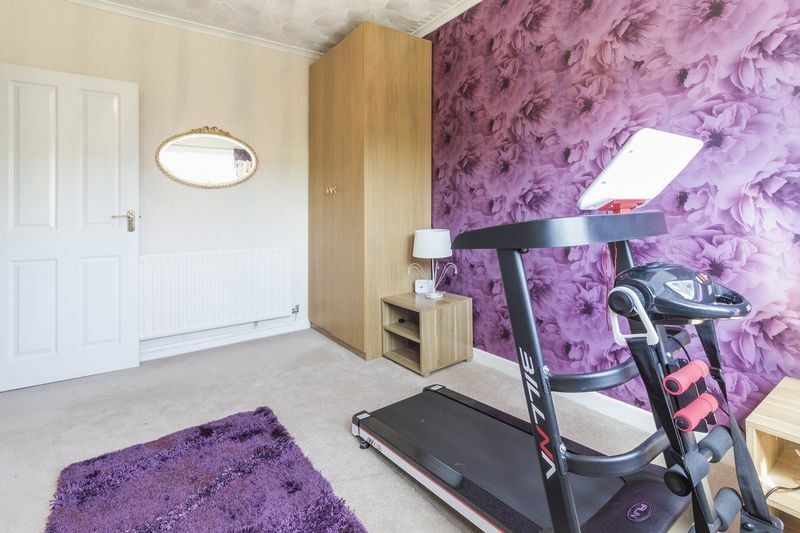 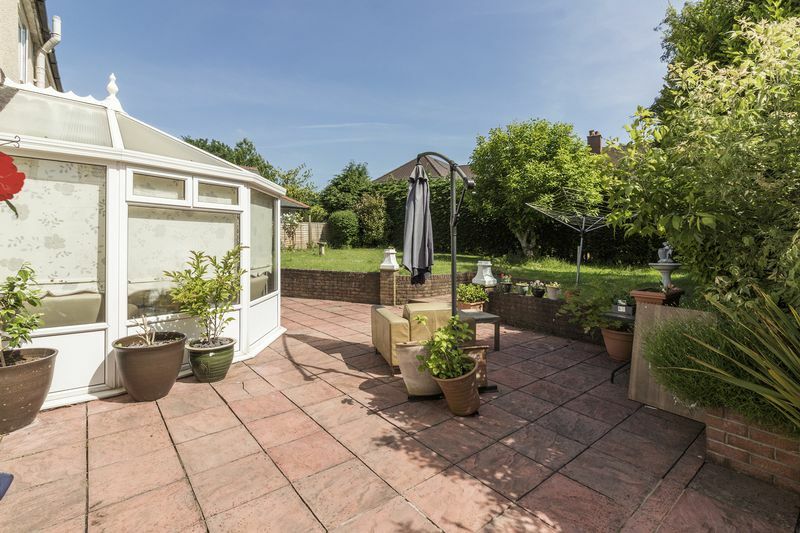 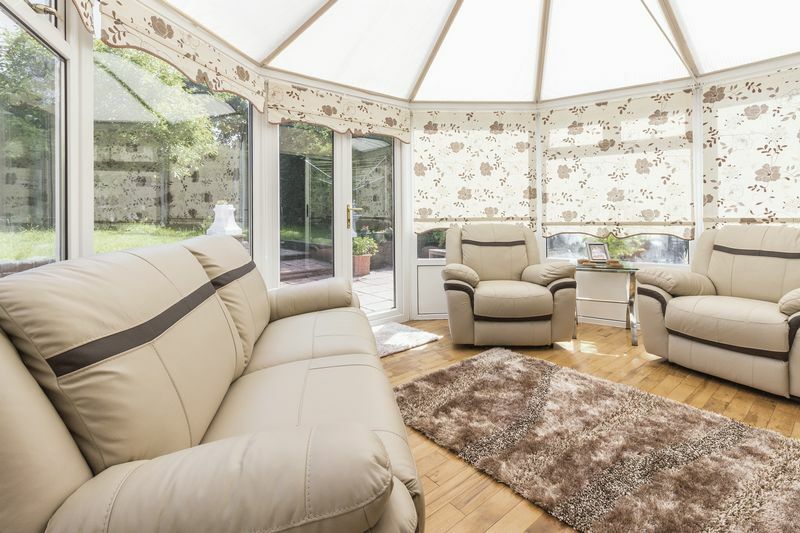 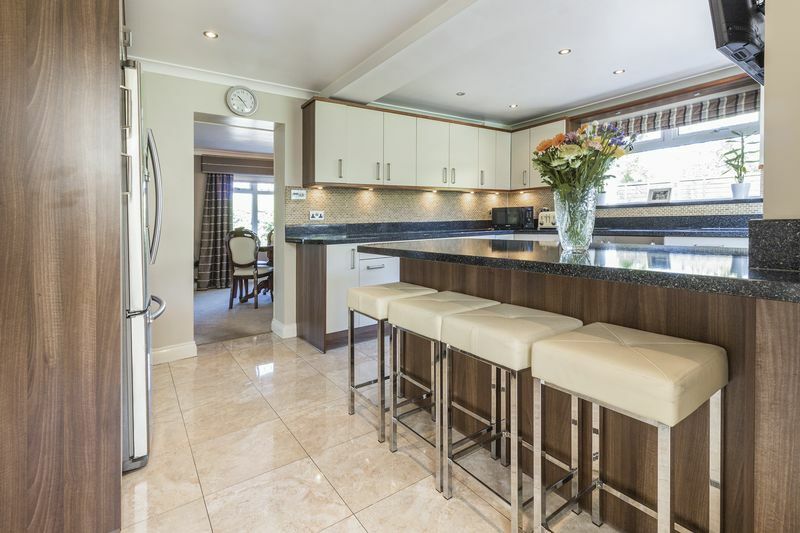 The property has the addition of a conservatory which can be accessed via both the kitchen and living area. 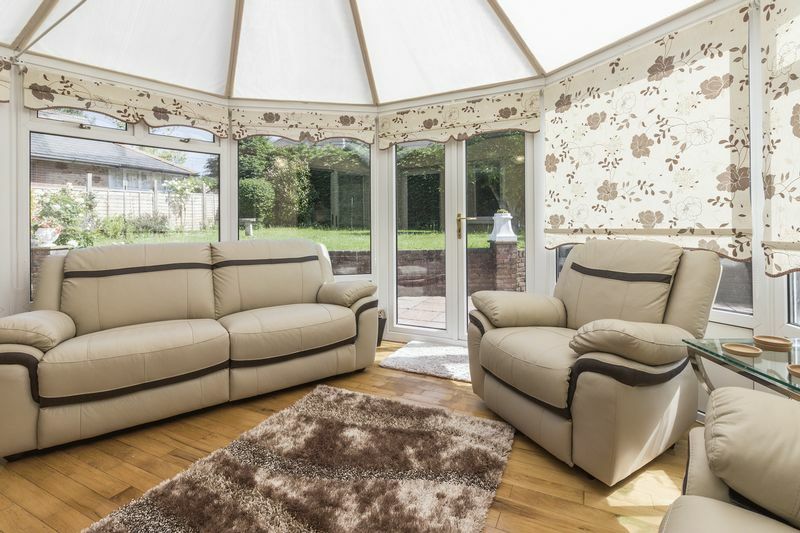 This provides as extra sitting area as well as letting more natural light filter into the house and provides access into the rear garden. 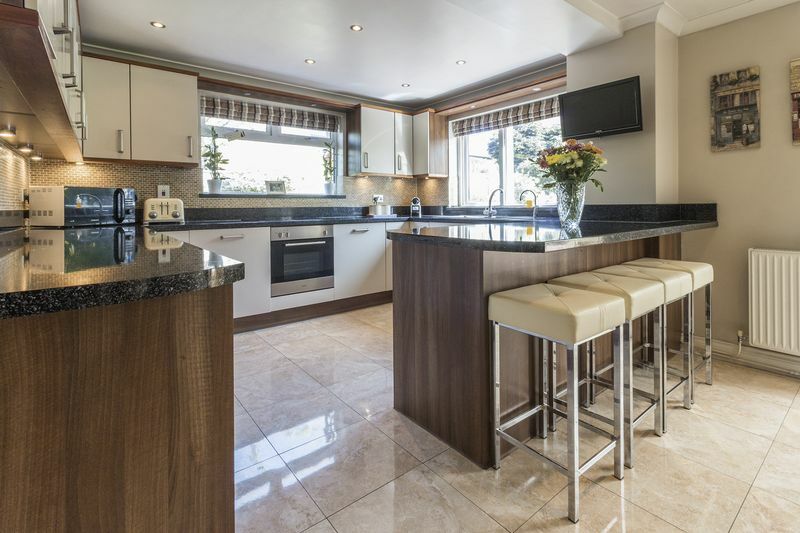 The kitchen is contemporary with ample wall and floor storage units as well as a useful breakfast bar and integrated appliances. 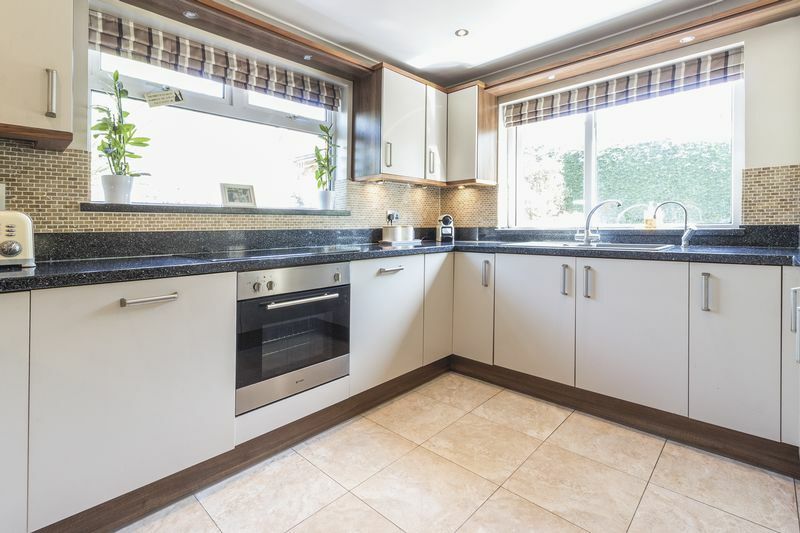 The kitchen also has a boiling filtered water tap ideal for providing those instant tea and coffee cups. 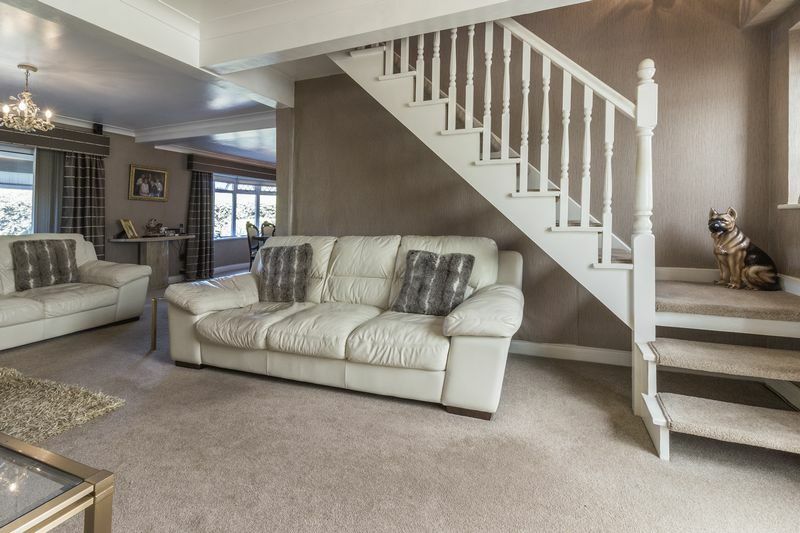 Upstairs there are four bedrooms, all of which are double rooms. 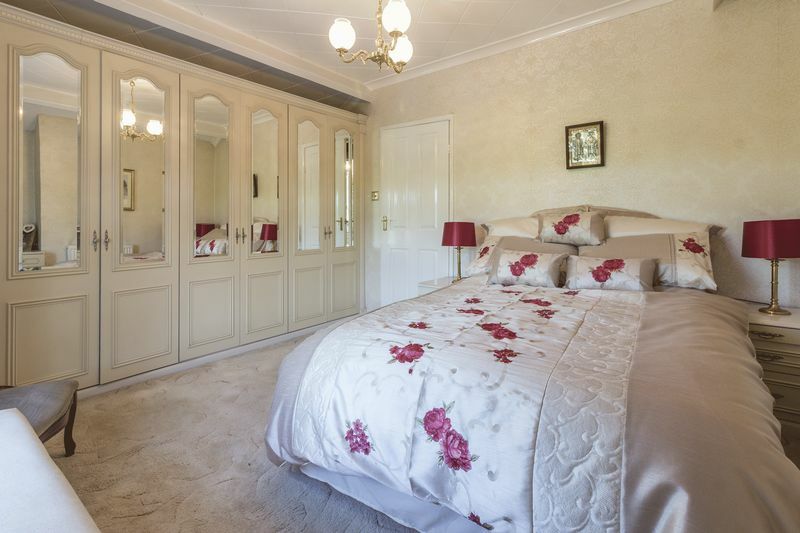 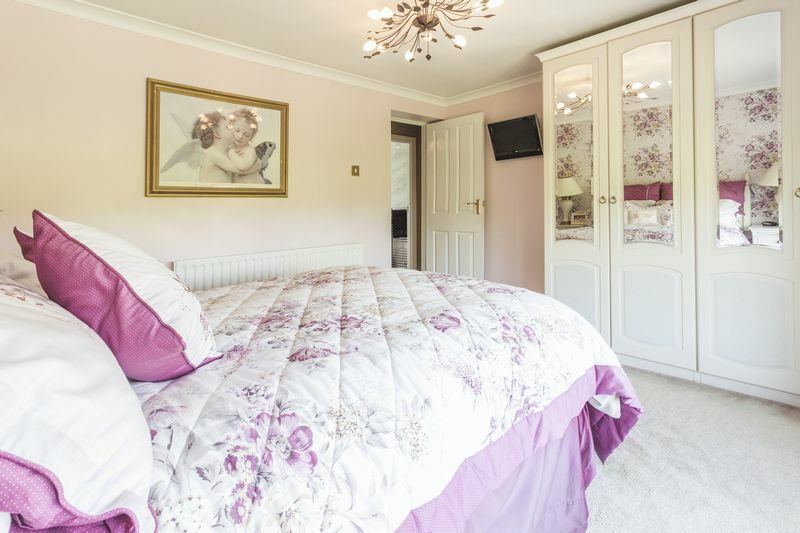 The master bedroom and bedroom two have the advantage of built in wardrobes. 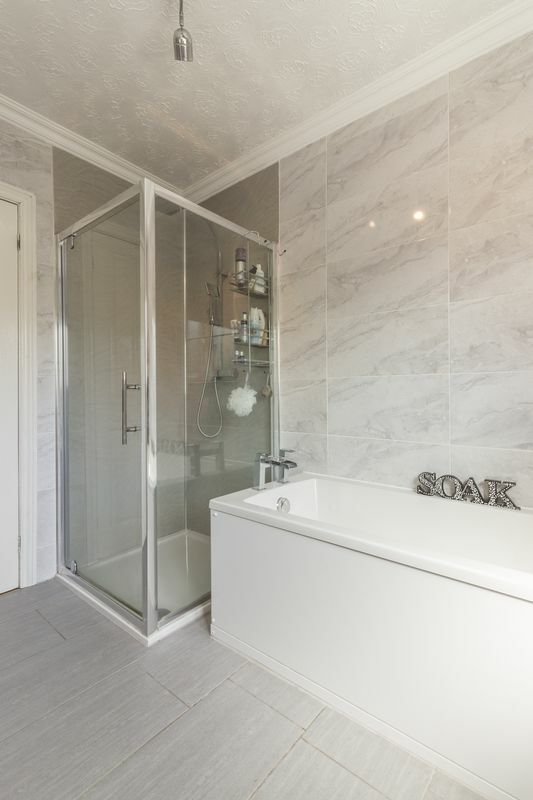 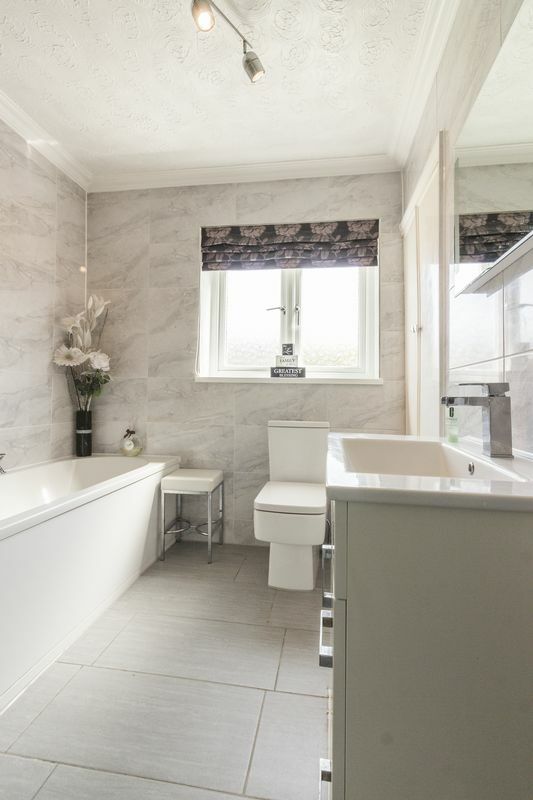 The family bathroom is a generous size and recently installed, it comes with both a step in shower, bath, W.C and sink fitted in a vanity unit. 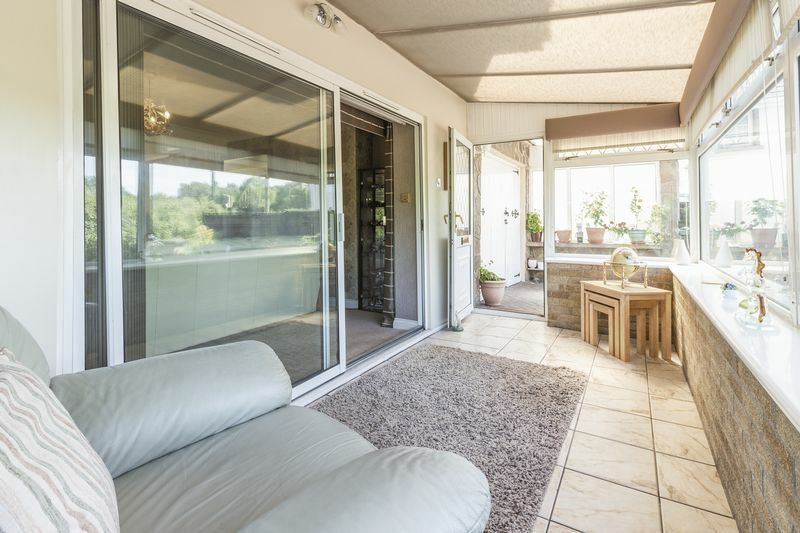 Outside in the rear garden there is a large patio area that wraps around the house, providing ample sitting areas, as well as gated side access on both sides of the property. 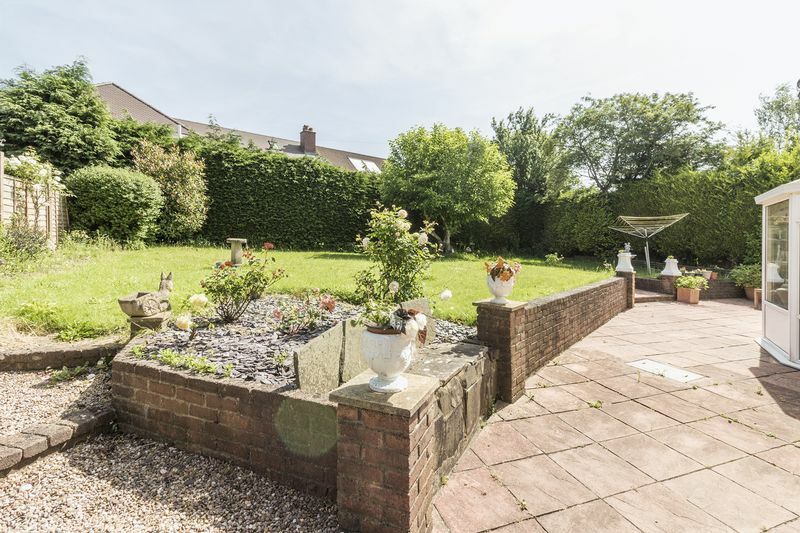 The garden opens out into a large flat lawn area with mature roses and trees in full bloom, it is not overlooked and very private with a hedge border. 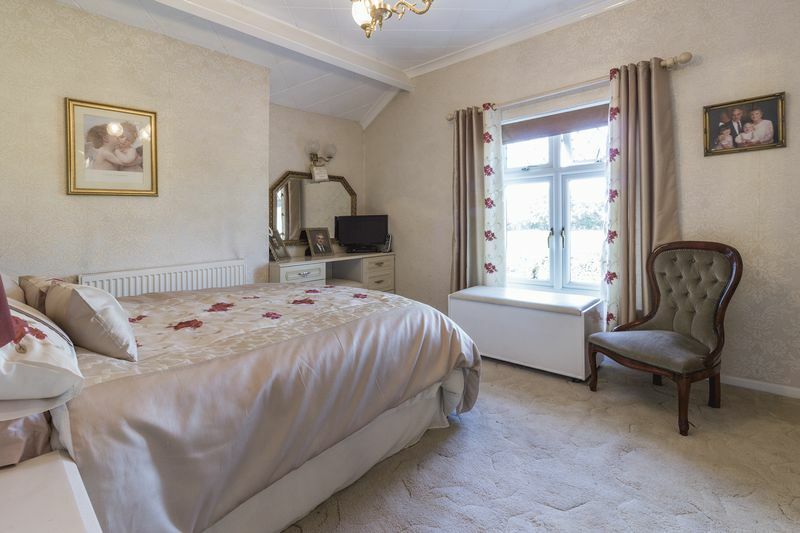 Viewing comes highly recommended on this property! 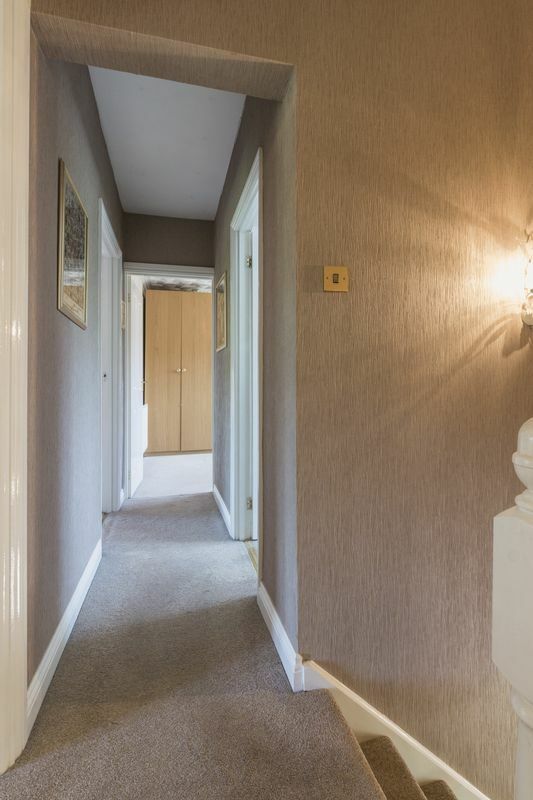 Check out the 3D virtual scan https://bit.ly/2ya7Ktv as well as the walk through tour to get a real feel for this home. 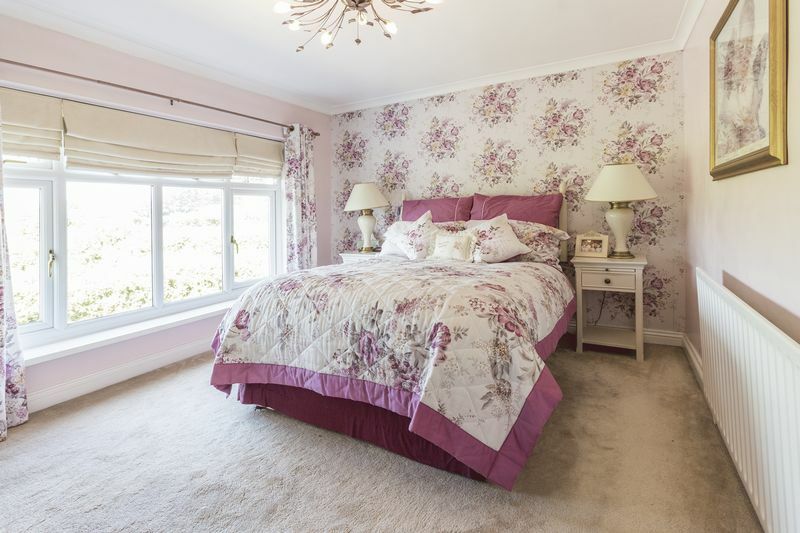 Call Pinkmove today to make sure you don’t miss out on the opportunity to make it your home! 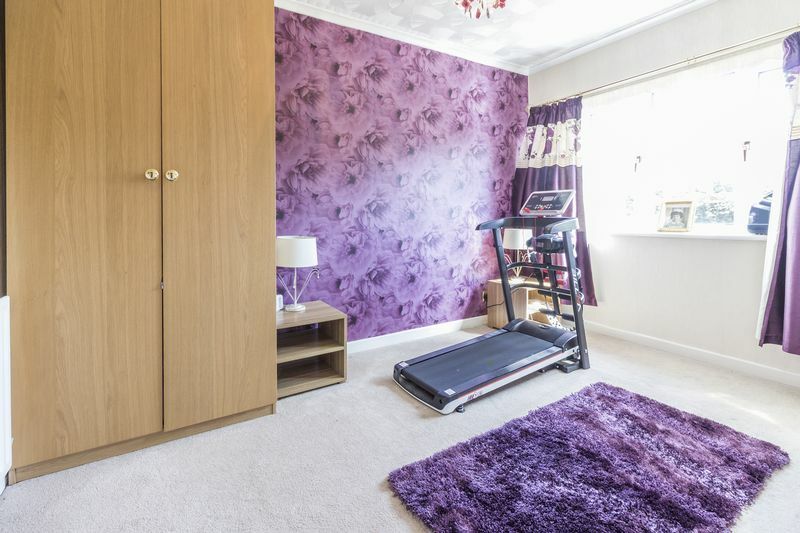 We have been advised by the vendor that this property is Freehold.